Thus begins this beautiful story for adoptive families. 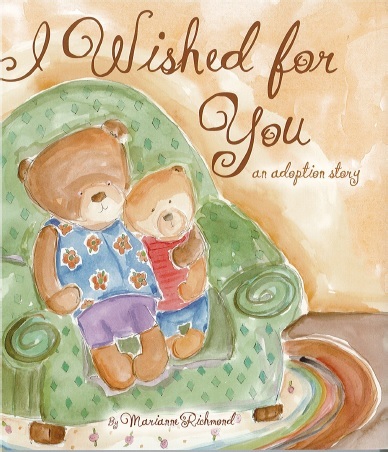 I Wished for You, an adoption story, follows a conversation between a little bear named Barley and his Mama, as they curl up in their favorite cuddle spot and talk about how they became a family. Barley asks Mama the kinds of questions many adopted children have, and Mama lovingly answers them all.